Sout Korea’s second-largest air carrier Asiana Airlines has named the new president, the group said Monday, about two months after a massive disruption to the carrier’s in-flight meal service. In July, the air carrier’s catering service for some international routes was suspended in the process of changing the airline’s meal suppliers, prompting questions of unfair contracts. The company said Han Chang-soo, who has headed the group’s IT management unit Asiana IDT, will be the new president. 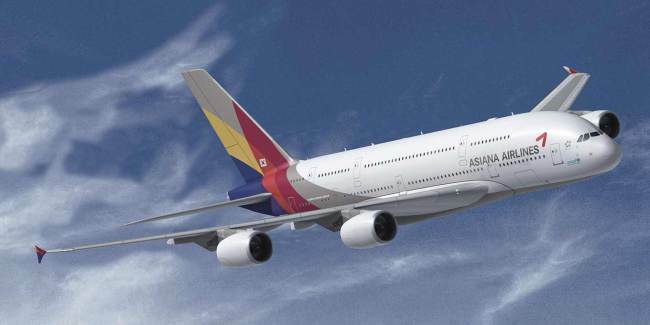 The CEO and president position of Asiana IDT will be replaced by Park Se-chang, Kumho Asiana Group Chairman Park Sam-koo’s eldest son. “The appointment of Han is to improve the group’s financial structure and strengthen the group’s future business,” said a group official. In recent months, Asiana Airlines has come under public criticism after over 60 flights were delayed from their original schedule in July. It has been speculated that the company is suffering from a lack of maintenance staff and budget for repairs. Although the company said the delays were due to normal airplane maintenance prior to takeoff, the Ministry of Land, Infrastructure and Transport has conducted a special investigation to take a close look at Asiana’s handling of maintenance personnel. The former Asiana Airlines CEO Kim Soo-cheon offered to resign last week to take responsibility for the in-flight meal fiasco.